Team colors, sponsors or just name and number. We can get you seen. 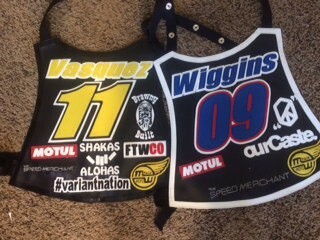 Kiwi Covers has been creating custom speedway bike covers, racing vests and many other hand made leather/vinyl products since 2000. Located in Corona, California USA.